Non-ablative blepharoplasty by means of mixed peeling 0.5 has finally been published on CRPUB! Mixed peeling has emerged as the safest and most efficacious peeling technique to reduce drooping skin of the upper eyelids. A single treatment session is usually enough to rejuvenate the patient’s look in a natural way; if drooping is more marked, two treatment sessions may sometimes be needed. Healing is rapid. Drooping upper eyelids give an aged appearance to a face that is otherwise in good condition. For this reason, upper blepharoplasty is the first and most frequent anti-aging procedure undertaken by the esthetic surgeon. Contrary to what we might think, surgical upper blepharoplasty is no simple operation; it requires a good preoperative design, extreme precision and the right indication. Techniques of mixed (physical/chemical) peeling have been designed by Dr. Capurro. In the FAQ section of the video publication, Dr. Capurro explains how the concept of palpebral rejuvenation has changed in recent years. 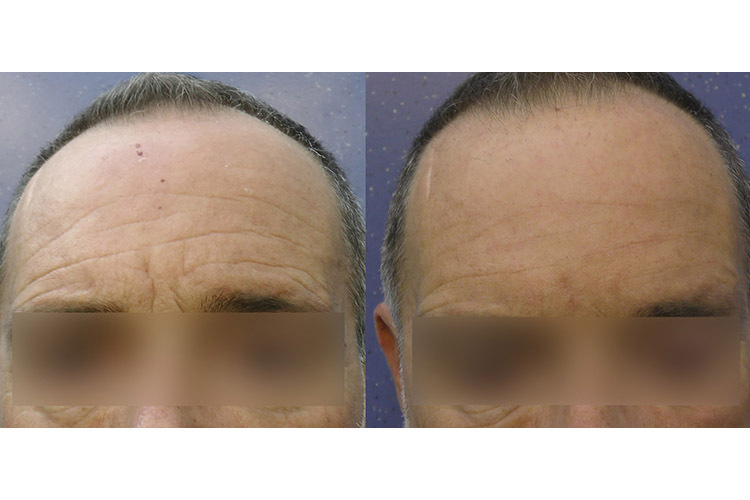 Surgical blepharoplasty, with the removal of palpebral tissues and fat, is indicated in small orbits. In this case, the operation is both esthetic and functional, in that it also improves the functioning of the palpebral pulley. In large and medium-sized orbits, it is necessary to establish whether the patient’s family members have sunken eyes or a normal skinfold. 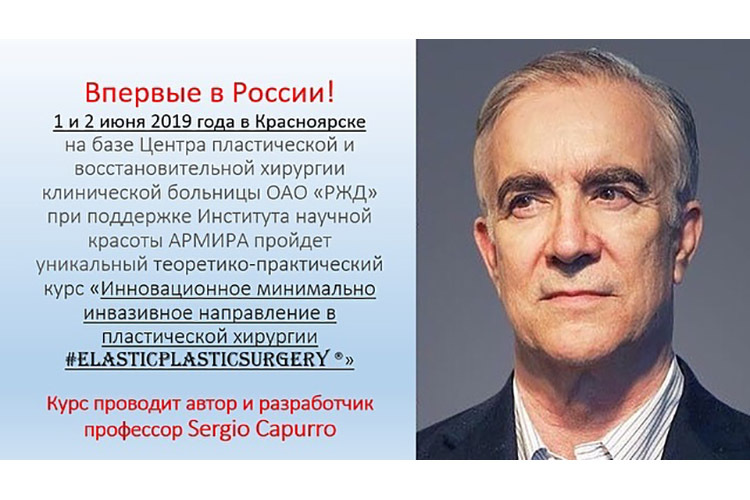 In the former case, the surgical operation will be adequate; in the latter case, surgical blepharoplasty with removal of the palpebral tissues will create “dry eyes” or “doll’s eyes”, giving the patient an artificial and aged appearance. The surgeon’s objective is to rejuvenate the patient. 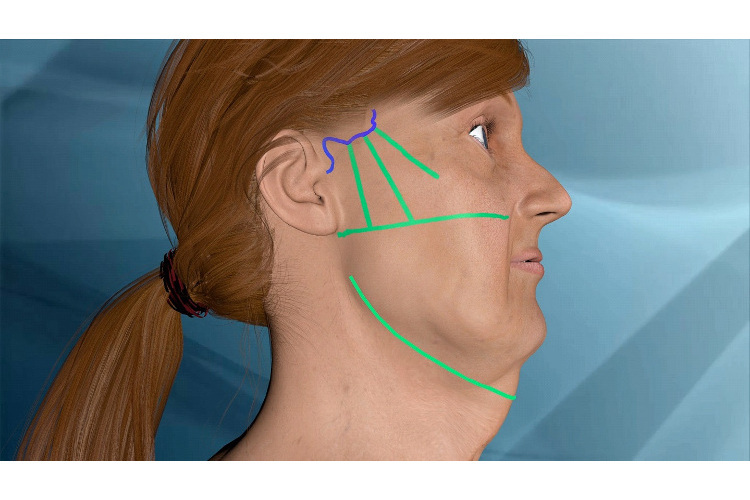 Consequently, in the case of large/medium-sized orbits, if the patient had a skinfold when young, removal of the skin is not indicated. Mixed peeling 0.5 enables the surface of the palpebral skin to be reduced, thereby restoring the patient’s youthful look. 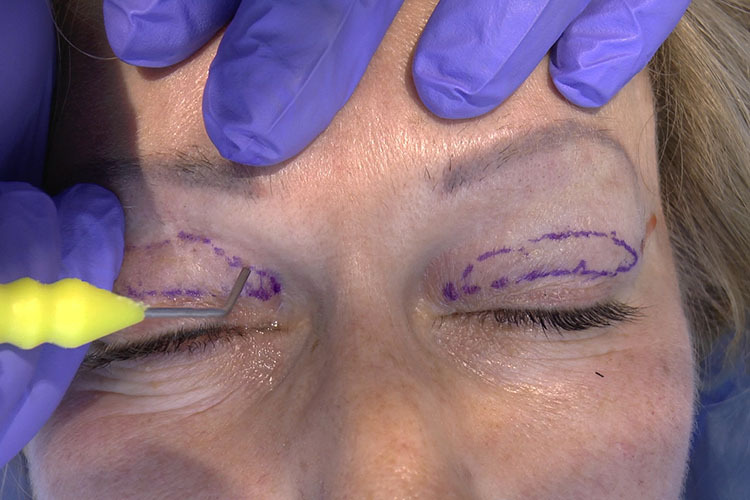 This peeling technique is also used to improve the results of surgical blepharoplasty, without incising the tissues again.